“Your stories are just getting ridiculous” was my friend Ana’s reaction to the story of what happened to me this morning. “Ridiculous” would be the reaction of two more people as the news spread with the help of texts and Facebook. The story of how a job landed in my lap, literally. I was sleeping in the back of the truck, on a forest road with gorgeous view of red rocks to the west and low chaparral to the east, when I heard overhead a strange noise as though someone in the clouds was using a pressure washer. 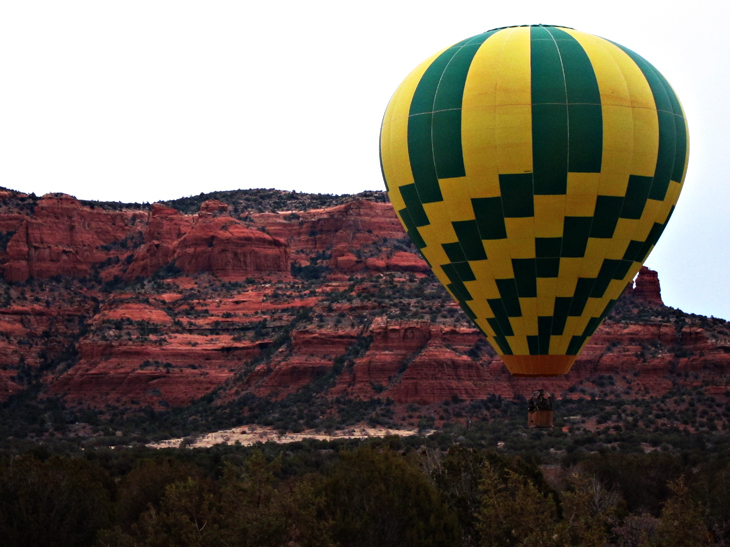 I peeked out and in the distance I saw a hot air balloon flying over and along the red rocks. The sight was perfect, except for the washed out clouds. Any other morning since I have gotten here would have yielded a better sky. No complaints though. I got dressed quickly and crawled out. The balloon was coming straight towards me, and landed less than 60 feet away. I was hesitant at first. 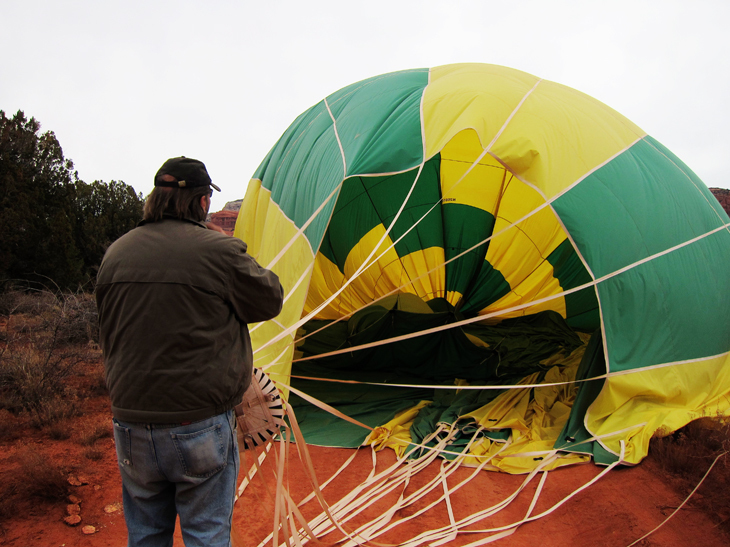 I worried I was camped at the usual landing spot and was inconveniencing the balloon pilot. When curiosity finally got the best of me, 30 seconds later, I walked over and watched as the basket was carefully positioned on the ground, the passengers helped out and the balloon brought to the ground. I asked one of the three men, “Do you need help?” He said, “We will in a moment”, and yelled to the others that I was willing to help with the bag. A second man came by and said tongue-in-cheek, “You did order a balloon for breakfast, right?”. I really didn’t do much to help. I just picked up lose ropes and coiled them neatly. When it looked like the task was done, I went back to my truck. I had just finished stuffing my sleeping bag when one of the men, Roger, brought me a glass of champagne with some fresh strawberries and an apple puff-pastry. He asked about me, where I was from and such. 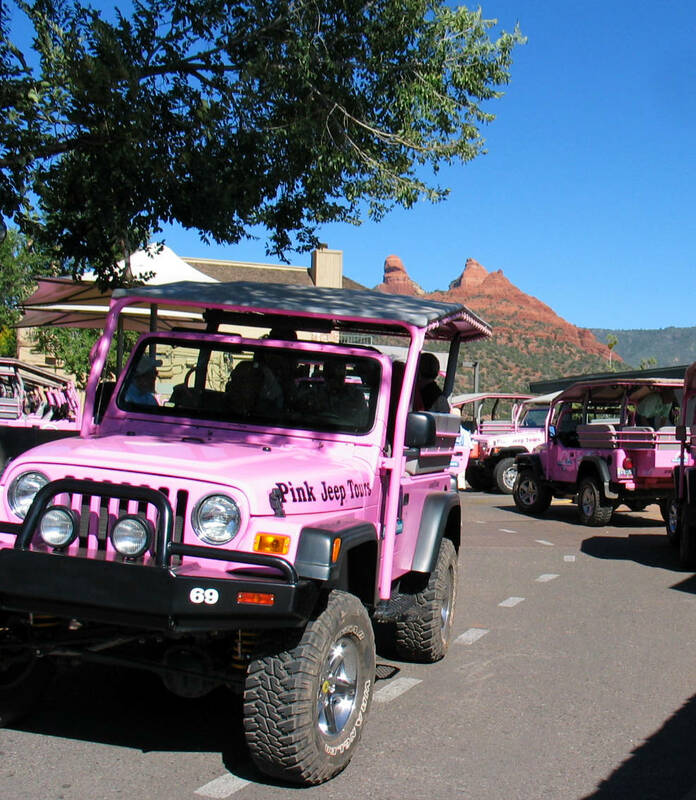 I told him I had just moved to Sedona and was looking for work, although I had a good feeling about Pink Jeep (read below). He said that the balloon company could really use a female crew member and to get the contact number from him before they left. I joined the clients and talked with them for a few minutes. They were excited that I had photos of their flight from the ground and I promised to send them some (which I have already done). I then helped load the 400 Lbs balloon onto the trailer, and learned it’s not a good idea to be behind it, because that thing can really crush you if you aren’t careful. I’ll have a bruise on my arm, no doubt, but in a way, I am glad; I might not have believed what went down without an actual physical mark to ascertain this was not a dream, that and the boss’s phone number. Back a week or two ago – time seems rather irrelevant in my life at the moment -, my new Flagstaff friend, Mikhael, offered me a room in her house for a month or so, enough time for me to find work and a place of my own. The generosity of people will never cease to amaze me! At the time I was going about finding work according to the old paradigm of how we think the world works: there is a recession, and the job market is horrible, so just hunker down at the library, apply to anything you are even remotely qualified for and don’t be picky, just feel lucky if you find anything. I lasted about a day doing that. It just didn’t feel right to me. The way I think it works is that the world is as benevolent of a place as one’s heart is open and that if one follows said heart, it will lead straight to the best life/job possible. Recessions and horrible job markets only affect those who feed them energy by worrying about them. To the old world view the new way seems airy-fairy and neither reasonable nor pragmatic. I have never claimed to be the latter ones and have no qualms about being called the former. I therefore declined Mikhael’s amazing offer and followed my heart, which said “go roam”. Mikhael understood completely. The next couple of days were perfect. I just did whatever the hell I wanted to do, felt incredibly grateful for being able to do that, and put no second thought into the fact that I “needed” to find a job, I just trusted that my heart knew what it was doing. On the second day, I was roaming downtown Sedona in search of cool beads to make a pendant for my friend Laura. One shop recommended another, and then another, and I ended up in a part of town I had not yet explored, JUST in time for a Pink Jeep to turn in front of me at a stop sign. I followed it. I ended up at the service center; that particular Jeep needed repair. I told the mechanic that I was looking to talk to someone about working as a guide. He seemed amused – I was looking pretty shabby after two+ days in the backcountry -, but he gave me the name of the hiring manager and the address of the main office. I went there, as I was. Things then fell into place rather rapidly. I met Mike, one of the guides, and chatted with him for a few minutes. The hiring manager, Jacky, came out and had me fill out an application – oh she also asked me if I was over 25, and looked surprised when I told her I was 42. I like that part of the story! -. Half hour later I was back out to the truck, calling all my references. I wasn’t expecting to hear from anyone in a while. They had over a hundred applicants and my application was likely the last one since I had filled it after the end of the application deadline. The next morning though, I was hanging out at a coffee shop when I got a call from Tom, the lead guide. side note – I LOVE Sedona. In that coffee shop there were witches (long flowey purple dresses and soft “spiritual” voices), aged flower-children (bandanas, tie-dyes and peace signs), men in corporate suits and down-to-their-waist dreadlocks and even one man walking around with a wolf tail hooked to his jeans as though that was the most natural thing in the world. Love Sedona! The call from Tom while I was at the cafe, the very next day after following the Jeep, was my phone interview. I was not ready and lost a bit of my wits. 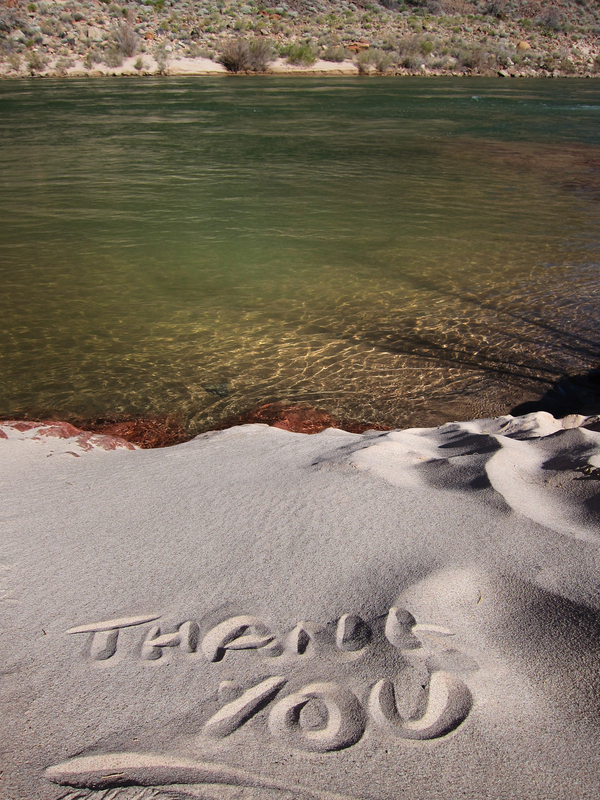 When he asked why I think I’d make a great guide, all I could think to say was that I was friendly and enthusiastic. He then asked me to pretend I was guiding him and to tell him about something. I asked if he wanted to hear about the crater on Mt. Baker. Lucky for him, he did. Those of you who know me, know how I can talk about the crater. Tom actually had to stop me. I guess I proved my point about being enthusiastic. He said he was recommending me for a face-to-face interview the first week of February. He also gave me all the delicious details of that perfect of jobs, but I am not sharing these with you yet. I will (if/)when I get the job. After all this, and some more roaming, I really was in need of a shower and laundry, so I called Mikhael and drove back to Flagstaff. She had given me a key to her house so I was able to let myself in and prepare an Indian meal on a real stove for the two of us. I do not take any of this for granted, trust me. When I left the next morning, I wasn’t sure where I was going, but the truck seems to be wanting to go north this time, and often it knows things I don’t. Since I was going north, I figured I’d go check out Tusayan, a 300 inhabitant town of two hotels, one bowling alley, a gas station and a few restaurants. That is where Grand Canyon guides live. Then I figured I’d go see the Grand Canyon, because it’s there. It took me 10 minutes to visit all of Tusayan, and then I saw a couple of Pink Jeeps parked in front of the Grand Canyon I-Max. I thought, “oh, I can go in and pretend I’m a tourist and see some guides in action”. But I didn’t find any guides in action, instead I found one on a lunch break, and it was Mike, the man I had met a week prior when I followed the Jeep in Sedona. He said “I remember you. You’re the girl who wants to be a guide. Come here, I want to talk to you”. I liked Mike right away. He’s one of those happy, larger-than-life people, I tend to attract and whose company I relish. Once again, I was stuck in a good luck vortex. I met the Customer Service Rep, Tiffany, who loves to dance and makes the most amazing cup-cakes I have ever tasted, and Burt, another, rather handsome, guide. 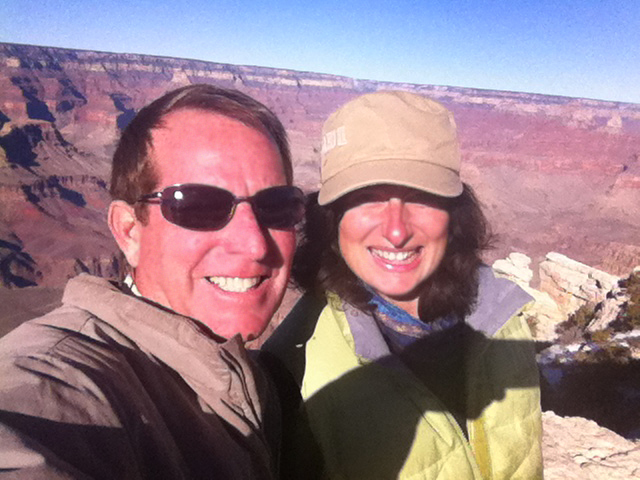 Mike then kidnapped me to the Grand Canyon and led me on a small private tour. I liked that he spoke as though I already had the job (“when you work here, you will …”) to help me manifest it. That night Mike and a handful of Pink Jeep employees and I went bowling. I was appalling at it, but had a great time. I got to visit the guide’s house and went to sleep well past my bedtime. The next day, I went into the park and hiked the 5000 feet down and back up on the Bright Angel Trail. Meanwhile, Tiffany, Burt and Mike were telling Tom about me. When Tom called me a few days ago, he said that everyone said very nice things about me and that he was looking forward to meeting me for the face-to-face interview, February 7th. When I returned to Sedona after spending a few days at the Grand Canyon, and stopping in Flagstaff to say hi to my coffee shop, Macy’s, I called Mike. He and his wife Julie (with whom I clicked as instantly as I had with Mike) invited me into their home, fed me dinner, gave me a bed and showed me where the spare key was, just in case I ever needed it. I know I have said it before, but wow, people’s generosity never ceases to amaze me! The world is full of trail angels!! The story is not finished – obviously, I don’t have a job yet – but today it was raining in the desert, so I thought I’d take this opportunity to come to the library, download some photos and write a story. This entry was posted in 2013, written in sedona by the Roaming Bobcat. Bookmark the permalink.